Duwamish Valley Safe Streets is part of Seattle Neighborhood Greenways. 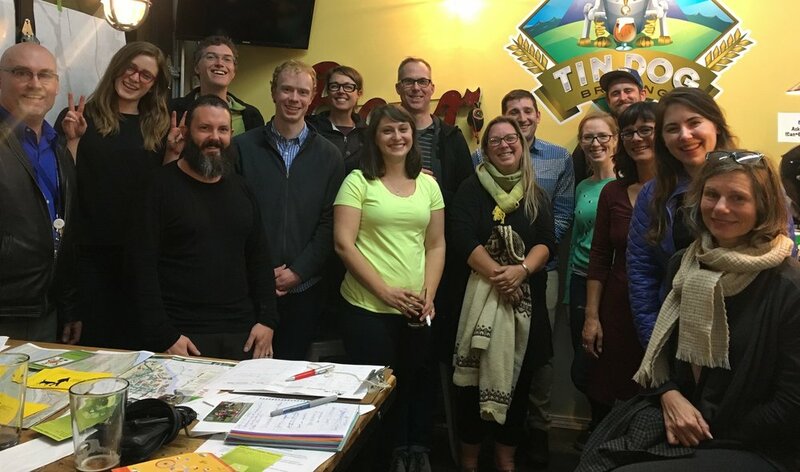 DVSS formed in 2016 — a cooperative force of South Park and Georgetown community members who envision a network of comfortable walking and biking routes that connect people to schools, parks and businesses in and around our neighborhoods! Current co-leaders of DVSS are Lisa Black (South Park) and Jesse Moore (Georgetown). Contact them via email at dvsafestreets@gmail.com. We meet every third Tuesday from 6:30-8pm, alternating between locations in Georgetown and South Park. Check our Calendar page or Facebook page for the next meeting location. Sign up to connect with neighbors working with DVSS!